Home Health Could migraines be a signal of brain tumors? Severe headaches can be alarming and scary. It is difficult not to think the worst when the pain lasts longer or becomes more intense or frequent with time. Many times it can lead you to believe that it’s the sign of a brain tumor. Each one of us experiences an occasional headache or the migraine pain caused due to stress, lack of sleep or simply overexertion, making us reach for high-intensity pain relievers which have terrible side effects of their own. However, sometimes, the throbbing pain in your head can be a concerning problem, and you must immediately book an appointment with your doctor for a brain test review and reach a solid diagnosis. Migraine occurrence is widespread; it is even more common than epilepsy or asthma. However, migraine patients don’t get as much amount of advocacy and support as they should. Approximately 15% of the US population that is more than 37 million people experience migraines while 1 in 7 people experience it at some point in their lives all over the world. On the contrary, however, brain tumors are very rare. In the US, about 0.2% of the population has a brain tumor. According to the statistics, about 0.02% of the population, which is approximately 70,000 people reported with brain cancer every year in the US. Now just to be clear, what exactly are migraines and brain tumors? 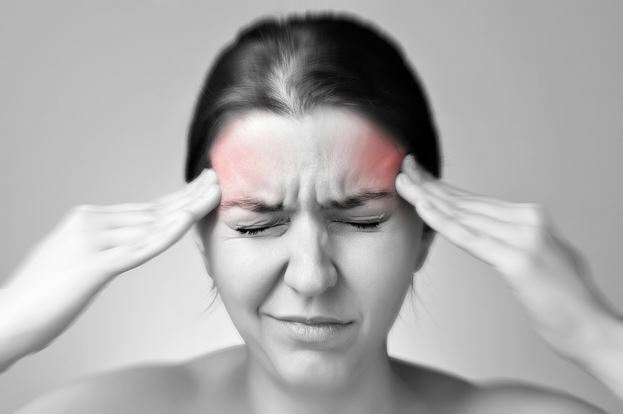 A migraine is a major headache disorder formed by frequent, recurrent moderate to severe headaches. Migraines are pulsating headaches that affect half of the head, they last for almost 72 hours, and symptoms include vomiting, nausea, and extreme sensitivity to smells, light or sound. A brain tumor, on the other hand, is a mass or collection of abnormal cells inside your brain. Brain tumors can be malignant or benign, but it’s always better to visit your doctor and get a thorough brain scan done before reaching any conclusions – especially if those headaches are increasing. A braintest review can significantly help your diagnosis of the underlying problem. The symptoms of brain tumor are dependent on the tumor location and its type. Varying brain areas have control of different bodily functions. Therefore, the location of the tumor influences the different kinds of symptoms people experience. The nature and frequency of symptoms vary as well; some tumors show very late symptoms mostly until the tumor has become large and untreatable while other tumors have a gradual symptom onset which uncovers over time. Now, if you are a primary migraine patient, you will probably notice how almost all these symptoms relate to your condition; this is the reason it is often recommended to consult a neurologist immediately. If the neurological exam catches no other abnormality aside from a recurring headache, the patient would rarely have a brain tumor. Likewise, the reassuring truth by Dr. Kaisorn Chaichana, a neurosurgeon at John Hopkins is, that a tumor rarely causes headaches or migraines. Henceforth, the chances that a headache is a sign of brain tumor are sporadic. Almost half the population experiences headaches, but it rarely depicts that they have brain cancer. Although causes of brain tumor have never been fully understood even by researchers and medical practitioners, people believe that they are often inherited causing genetic mutations leading to tumors. These comprise of Von Hippel-Lindau disease, neurofibromatosis type 2 and multiple endocrine neoplasias. Visiting the doctor and getting a CT scan or an MRI (magnetic resonance imaging) done is the best step to take when certain symptoms recur frequently. It is highly likely to develop a brain tumor as one grows older. As you age, the risk of developing cancer producing cells increases. The most common age range for brain tumor amongst adults is 50 to 75 years. The most common symptoms of brain tumor amongst adults are memory loss, speech problems, or any symptom associated with dementia or Alzheimer’s. Many times people come to seek medical attention for themselves or their loved ones when they face difficulties with memory, have trouble expressing or simply become depressed and aloof. If you experience any of these symptoms, it is suggested to get a brain imaging one. Moreover, tumors starting in the primary brain area are comparatively lesser than they are spreading from other areas to the brain, also known as metastatic brain tumors. Conclusively, if a headache is the only major complaint, and the pattern and intensity do not change, rather stays consistent with time, there are high chances you do not suffer from a brain tumor. However, you may have a migraine, a cluster headache or a tension headache which are also extremely painful and disturbing but are totally non-life threatening. Alycia Gordan is a freelance writer who loves to read and write articles on healthcare technology, fitness and lifestyle. She is a tech junkie and divides her time between travel and writing. You can find her at @meetalycia.